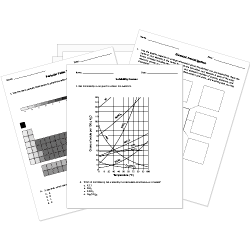 You can create printable tests and worksheets from these Grade 10 Bonds and Mixing questions! Select one or more questions using the checkboxes above each question. Then click the add selected questions to a test button before moving to another page. Chemical bonds that involve the total transfer of electrons from one atom or group of atoms to another are called . have the same number of electrons. Which of the following bonds is found between water molecules and between base pairs in DNA and between water molecules? In ionic bonds, which of the following is true? Electrons are shared equally between atoms. Neutrons are transferred between atoms. Electrons are transferred between atoms. Ionic and covalent bonds are both types of bonds. What is the correct ionic symbol for the nitrogen ion? Look at the electron-dot diagram for hydrogen. An atom of hydrogen would be most likely to bond with an atom of which of the following elements? the sharing of equal numbers of electrons by two atoms. the exchange of equal numbers of electrons by two atoms. the combination of two atoms of the same valence. sharing of unequal numbers of electrons by two atoms. A covalent bond is formed by the . When calcium and phosphorus form an ionic compound, what is the chemical formula of the compound? When calcium and sulfur form an ionic bond, what is the chemical formula of the compound? An unknown substance is an excellent electrical conductor in the solid state and is malleable. What kind of chemical bonding does this substance exhibit? How many electrons can a carbon atom share? When beryllium and selenium form an ionic bond, what is the chemical formula of the compound? When Zn (I) ions and nitrogen form an ionic bond, what is the chemical formula of the compound?